Eat. Write. Teach. 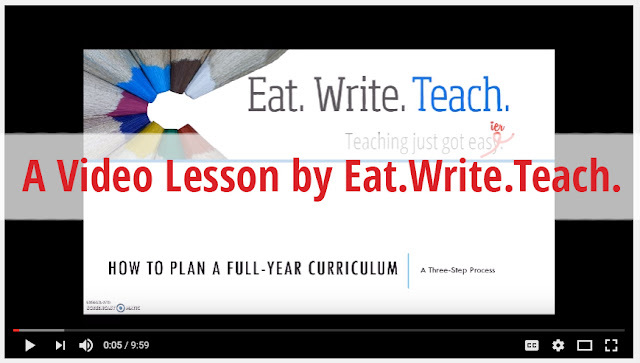 : Little Nuggets of Teaching Advice, Courtesy of YOU! Little Nuggets of Teaching Advice, Courtesy of YOU! T-minus twenty-four days until I have students in my classroom again and I will be beginning my official preparations for the school year tomorrow! After my little vacation, I'm feeling amped up and ready to go. I went to the Walmart today and they've already begun their Back-to-School sales around here, so it's time to start buying it all up. But without my husband being around. Shopping with your husband is like hunting with the game warden. Quick note: during my absence, things around here got pretty crazy and my inbox kind of blew up. So, if you emailed me within the last week or so, I assure you that I will respond as soon as I can, but it could take a few days to get caught back up. I love you, readers, even more than I love pancakes. And I love me some pancakes. Congratulations to our July Blog Giveaway winner, Sami S., and a great big thank you to everyone who participated in the raffle! If you didn't win, do not despair! Here are some things that might make you feel better. There will be another summertime blog giveaway in August! All of my templates are updated and ready! Just click the "Templates for You!" tab at the top of the homepage. These are my free black-and-white templates made just for you! Have something for the students to do when the students walk in. And have a seating chart. This is a Fred Jones. Your first minutes of your first day will set the tone for the whole year. – Katie O.
I like to play Mystery Cards on the first day of school. Because the activity can be fairly long, some of it can be saved for extra time during future class periods! :-) – Katie L.
As the kids come in the room ask them to tear off as many squares of toilet paper they think they will need. Be sure to tell them it will not actually be used in the bathroom. :) Once everyone has picked as much as they think they will need tell them to write down words that describe themselves on each square of toilet paper. You really get to know your kids this way and it's hilarious to watch those kids who took a lot of toilet paper. – Emily B.
I am using a voki from voki.com to welcome them! – Amy H.
Biopoems are a great first day activity. They let the kids be creative and you learn more about themselves in the process. – Jackie V.
I use...Me-In-A-Minute... It's a "within the first few days of school" activity. The kids prepare a one minute or less "speech" about themselves and highlight it with actual objects that represent them. It's a fun getting to know you activity. – Jackie C.
Man, you guys are good! I absolutely love the first-day-of-school ideas! You're putting me to shame and I'll definitely be experimenting with some of these great ideas this year! So, what's missing from the list? What other little nuggets of advice would you offer up?